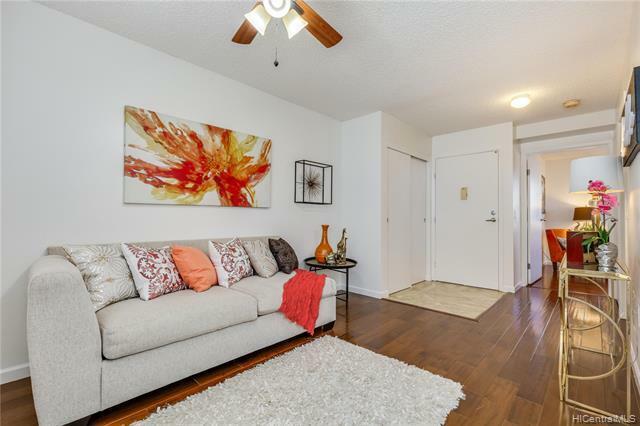 Expect to be impressed when you walk into this move-in ready 1-bedroom in Northpointe located in Mililani Mauka! 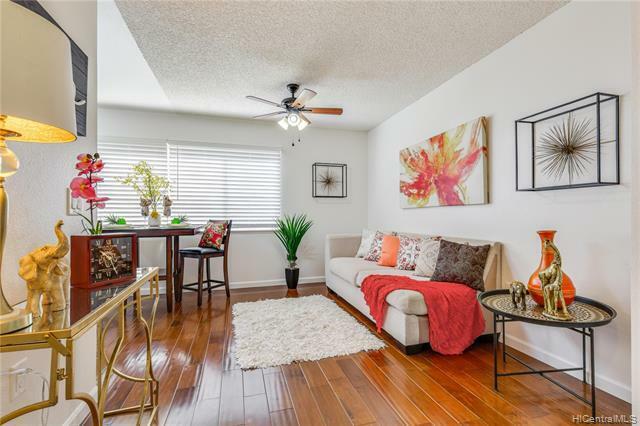 This ground floor has rich hardwood floors, fresh interior paint and comes with TWO assigned parking stalls (stalls #118C & 126). 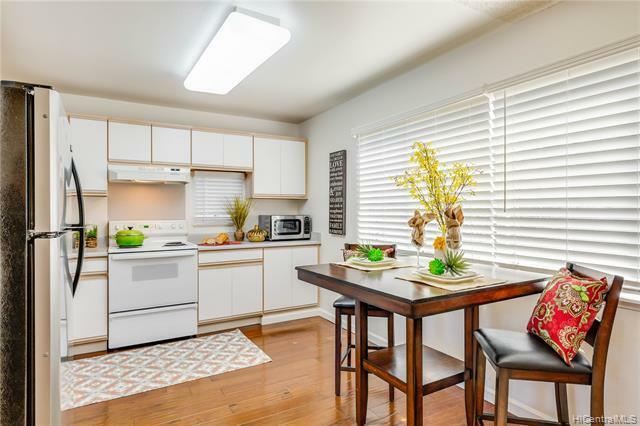 The efficient kitchen has abundant above and below cabinets and lots of counter prep space. There's a closet for overflow storage and separate closet for the full size, front-loading washer/dryer. 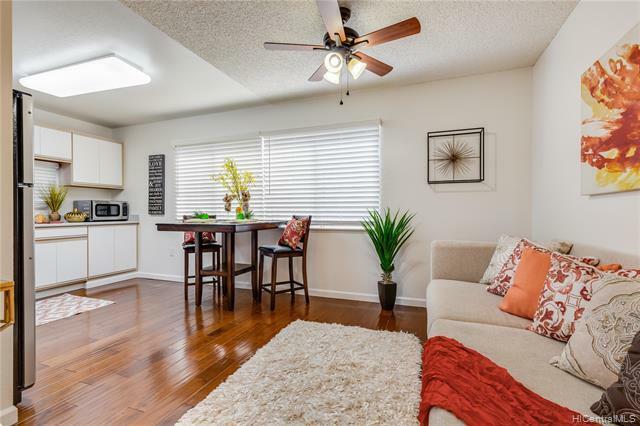 This well maintained, end unit provides additional windows for more natural light and cross ventilation. Come see this one before it's gone...BUY it today and you WIN!